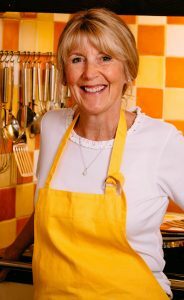 About Nancy…Born and bred in Yorkshire, retired practice manager Nancy quickly became a household name in 2014 when she competed in and won the fifth series of the BBC’s ‘Great British Bake Off’.Since then she has made guest appearances at numerous events; teaching and demonstrating her culinary skills at food shows and festivals, and undertaking public speaking engagements.She has an active following on social media where she loves to share her recipes and top tips for the home.I propose the eggs be served as finger food to start, a green salad to sit alongside the salmon main course and a drizzle of cream with the tart – hope you enjoy! I love the spring and the rhubarb season. If you have young rhubarb then this is by far the best for this recipe because there is no pre-cooking of the fruit. You will need a 23cm loose bottomed flan tin and this tart will serve 8 with cream, ice cream or just on its own. 5. 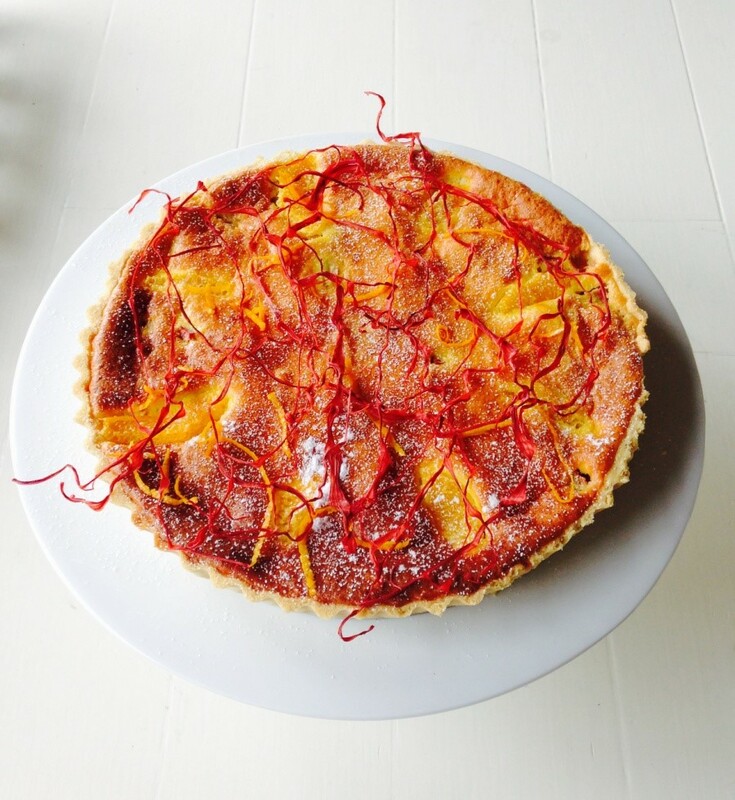 Arrange the rhubarb on the base of the pastry tart then the orange zests, but leave a few for decoration. Cooking for a crowd is so satisfying.Line with paper and baking beans and bake blind for 15 minutes.Remove the paper and beans then paint the inside with a coating of egg white (the egg white left over from the yolk used in the pastry) before popping back into the oven for 5 minutes.This additional 5 minutes baking will provide a waterproof seal to the pastry to ensure you have a crisp tart base and no soggy bottom. Top Tip â to segment an orange: With a very sharp knife remove both ends of the orange.Whether itâs a picnic with family and friends or a simple supper in the garden, these three unique recipes are guaranteed to satisfy. My starter, main course and dessert can all be made in advance, each one prepared in around 30 minutes and when served need little by way of accompaniment.Whisk together the sugar and eggs then add the crÃ¨me fraiche and vanilla.The secret for me is âgetting aheadâ, using locally sourced ingredients and an attention to detail that delivers a âwowâ factor to the simplest of recipes. Keep your eyes peeled for Nancy’s starter and main course recipes coming soon to It’s a Shoe Thing.—————————–We’d love to see photos of your creations! If you’ve given this recipe a go then please tag Hotter in your pictures on Facebook, Twitter or Instagram.